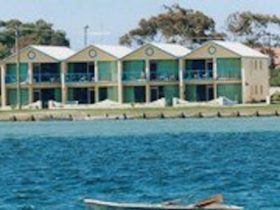 Anchorbell Holiday Apartments is a family oriented holiday complex, made up of two and three bedroom fully self-contained and fully equipped apartments and townhouses. All linen and towels are supplied. 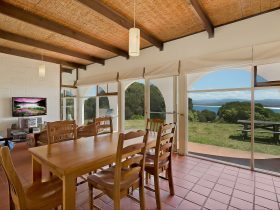 All with air-conditioning, dishwashers, Foxtel and free Wifi. Clean, spacious and affordable, their unique styles of accommodation are free standing apartments and townhouses set in attractive gardens. Townhouses have two bathrooms and balconies with outdoor seating. They provide on site undercover parking (either carport or lock-up garage) and room for the second car or boat. 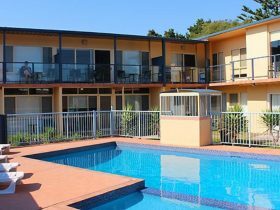 Suitable for all ages and designed for that relaxed holiday on site enjoying the solar heated pool, undercover barbecue, outdoor seating and half size tennis court (rackets and balls supplied) or a flat five minute walk to the beach, shops, restaurants, clubs and attractions. 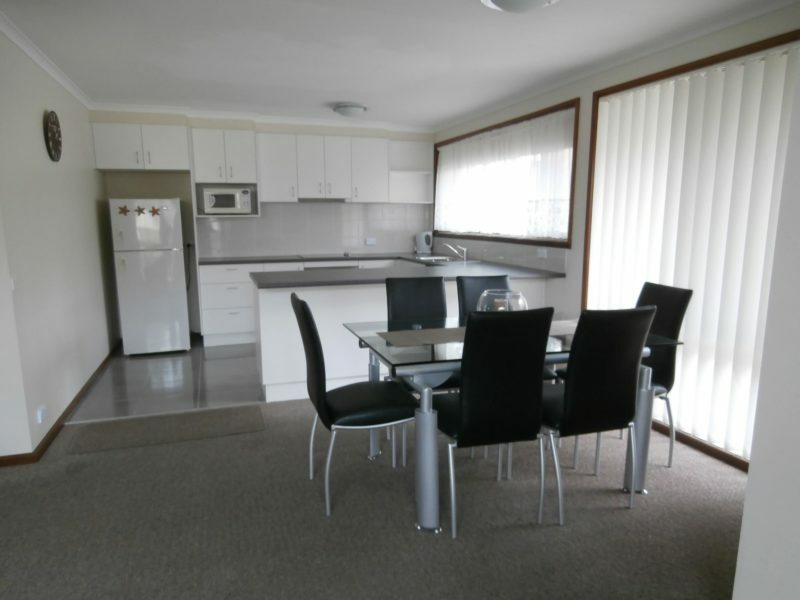 Spacious two bedroom fully self-contained apartment. 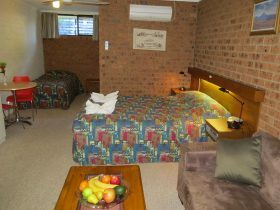 One queen size bed, one single bed and one set of bunks, electric blankets, all linen and towels supplied. 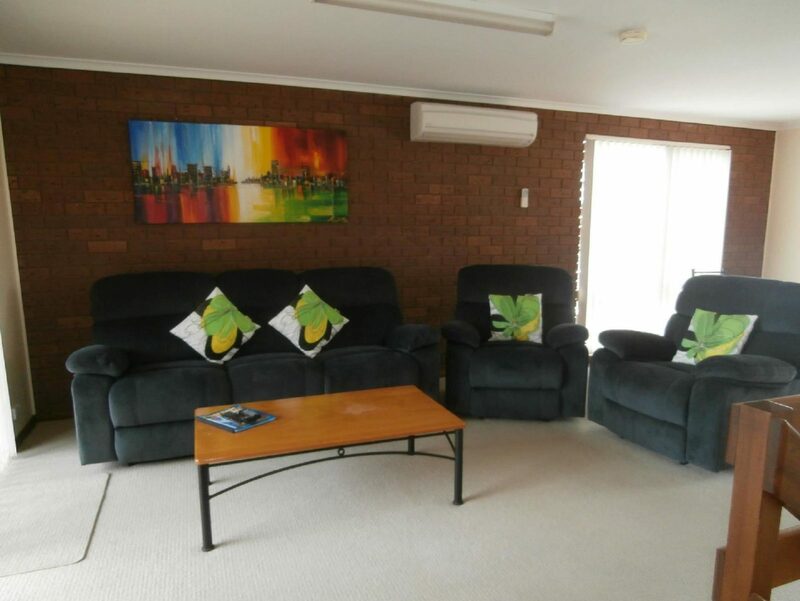 Open plan lounge/dining/kitchen, air-conditioning, dishwasher, LCD television, Foxtel. Bathroom with full size bath, shower and separate toilet. Laundry with washing machine, dryer, iron and ironing board. Undercover parking. The three bedroom townhouse sleeps six. 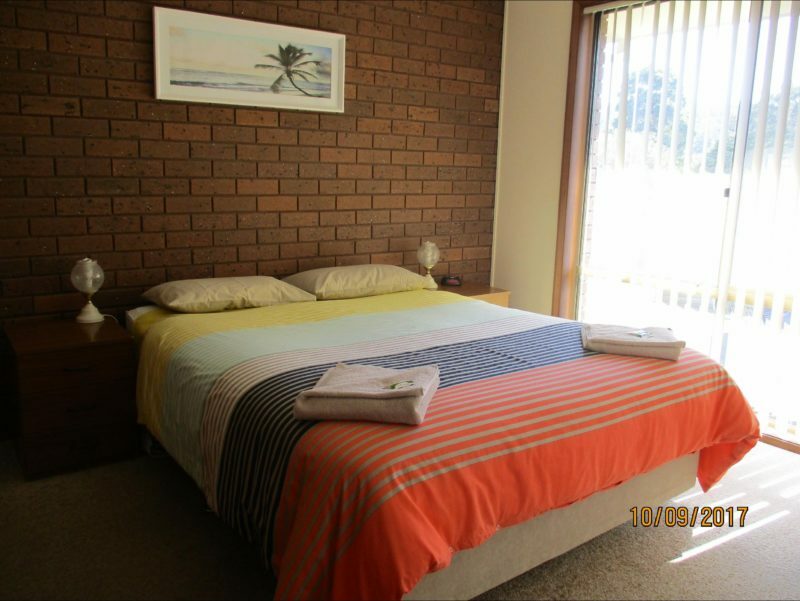 One queen bed in the master bedroom plus two more bedrooms each contains two single beds. Electric blankets. All linen and towels are supplied. 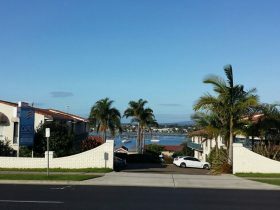 The townhouse is split level and includes fully self-contained kitchen, microwave, dishwasher, air-conditioning; LCD television, Foxtel, open plan lounge; dining and kitchen; balconies off lounge and dining; a laundry complete with automatic washer, dryer, iron, ironing board, and external clothes line. There is an en suite bathroom to the master bedroom upstairs. A second bathroom with full size bath, shower, and separate toilet on the ground level services the other two bedrooms. Free WiFi A lock-up garage is provided. The two bedroom townhouse sleeps five. One queen bed in the master bedroom plus one bedroom with one single bed and one set of bunks. Electric blankets. All linen and towels are supplied. There is an en suite bathroom to the master bedroom upstairs. A second bathroom with full size bath, shower, and separate toilet on the ground level services the other bedroom downstairs. Free WiFi. A lock-up garage is provided. Two bedroom fully self-contained townhouse sleeps five. One Queen, One Double and one Single. Electric blankets. All linen and towels are supplied. The townhouse is split level, with open plan lounge/dining/kitchen and balconies off lounge and dining. 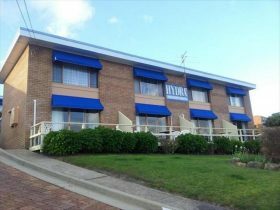 The townhouse includes electric blankets, fully self-contained kitchen, microwave, dishwasher; air-conditioning; LCD television, Foxtel; a laundry complete with automatic washer, dryer, iron, ironing board, and external clothes line. Two bathrooms with full size bath, shower, and separate toilet. Outdoor seating on balcony. A lock-up garage is provided. Free WiFi. Fully self-contained, three bedroom apartment. Ground floor. Featuring one queen, one double, and three single beds, all with electric blankets. All linen and towels are supplied. Open plan lounge/kitchen/dining. LCD television, DVD player, Foxtel, air-conditioning, dishwasher, refrigerator with freezer, washing machine and dryer. Full size bath, shower and separate toilet. Undercover parking. Free WiFi.